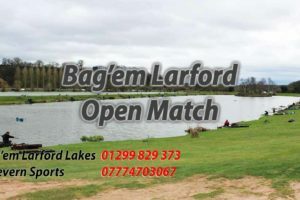 Today’s Open on the Match Burr saw 14 anglers fish in showery conditions. Winner on the day was Stu Ballard (Larford) from peg 58, Stu weighed 150-05-00. 2nd on the day was Paul Cool (Frenzee) from peg 62 weighing in 146-02-00, Paul caught short and down his edge on pellet. 3rd was Luke Webster (Colmic) from peg 54 weighing in 96-05-00 shallow and in the margins over ground bait and maggots. 4th on the day was Mark Hawthorne (HT Angling) from peg 45. Mark caught on long pole and down his edge with pellet, finishing with 81-03-00. 5th was Steve O’Reilly (Warrall) from peg 48 weighing in 52-11-00 to long pole and pellet and down his edge.